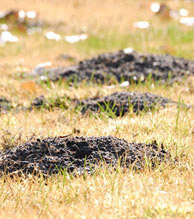 Gophers are rodents that destroy and damage your homes beautiful landscaping and yard. Gophers are typically solitary creatures, except when they are mating or rearing young. They are territorial and prefer to establish their own territories. Gophers feed on plants, roots, gardens and vegetation with a typical diet consisting of trees, roots, bulbs, alfalfa, grass and dandelions. Gophers do not hibernate and are active year round, especially in the spring and fall when digging conditions are just right. Mounds of fresh soil are the first indication of a gopher problem. Gophers form fan-shaped mounds as they dig tunnels and push loose dirt to the surface. One gopher can create 1-3 mounds daily, especially in optimal digging conditions, such as irrigated flower beds, lawns and gardens. Gophers can destroy underground irrigation lines, utility cables and sprinkler systems. They can also produce faulty grades costing a homeowner money and unnecessary stress and damage. 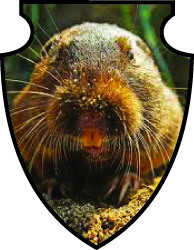 Pocket gophers are a challenging pest to control once a population is established and thriving. Be prepared to take immediate action if you see gopher activity, as damage can occur in a short period of time. It is easier, more affordable and less time consuming to control one or two gophers than to wait until the population gets out of control. Our service technician will begin the initial gopher control service and any follow-up services with a complete inspection. Depending on the duration and severity of the gopher problem, the technician will recommend an appropriate gopher control service. Our Agricultural Specialist will identify the underground burrow by locating the freshest mounds of dark soil. The mounds that are visible above ground are the plugged openings of lateral tunnels, which gophers create to expel dirt from their main burrow. 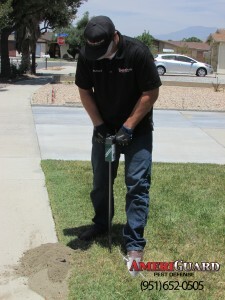 AmeriGuard provides a variety of gopher control options depending on the gopher infestation, location and budget.In over 80% of our homeowner services, a three part burrow baiting service is the most common treatment option. Other services such as the Gopher-X- Smoke Oil Treatment is available for those sensative accounts in which a bail placement is not an available option. **Call office for details. The Gopher X Oil Smoker system pushes heated smoke and carbon monoxide through the rodents’ tunnels and nesting areas. The Gopher X Extermination Machine has proven itself to be an easy to use, durable, effective, burrowing rodent killing device that operates without the negative effects caused by other methods. It does not use poisons that can kill other animals and pets. It does not cause explosions that can disturb large areas of land (and even start fires). It does not use traps which can be time consuming to place correctly. 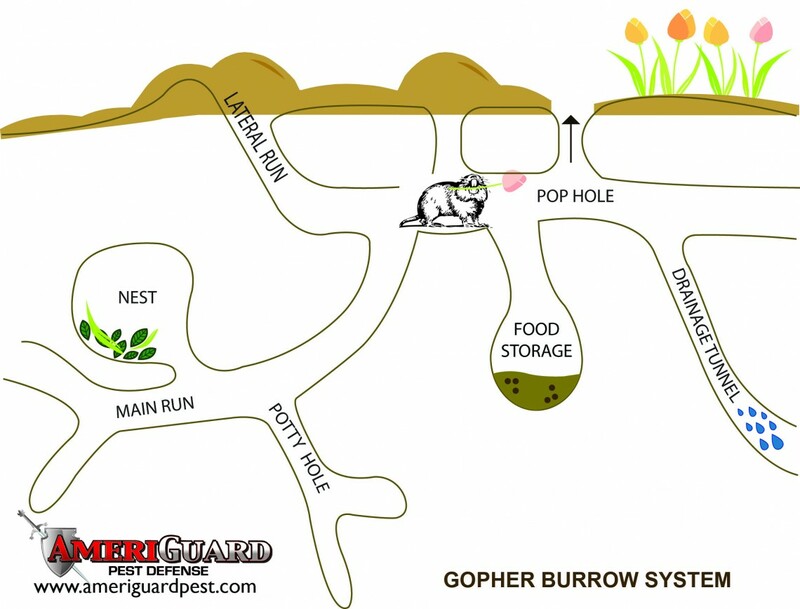 AmeriGuard provides baiting for gopher control using a grain bait that is placed in the underground runway systems. Off-gassing fumigants may also be used. Gasses are quick and effective and easily penetrate tunnel systems and underground burrows. Chemical-free options are also available to get rid of gophers without leaving pesticide residues in your soil. The Rodenator, which is a combination of oxygen and propane, delivers a chemical-free concussive force to the underground burrow systems of gophers, squirrels and moles. This option for gopher control is ideal for farmland, ranches and other sensitive accounts. Depending on the severity of the gopher infestation, AmeriGuard may advise and recommend a Bi-Weekly or Monthly maintenance plan to achieve optimum gopher control and to stay on top of the gopher activity. If your property borders wildlands, vacant lots, open fields or neighboring yards with gopher problems, you can expect gophers to re-invade regularly. Unfortunately there is no way to stop gophers from entering your yard, however, we can treat for them once they appear. 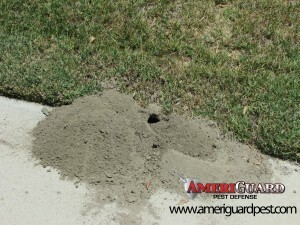 Contact your gopher service experts at AmeriGuard Pest Defense for a free gopher quote. Most quotes for residential gopher services can be provided over the phone without any obligation. 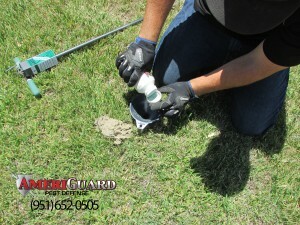 AmeriGuard Pest Defense Gopher Maintenance Program will help to reduce current gophers as well as stay on top of future gopher infestation. No contracts required! 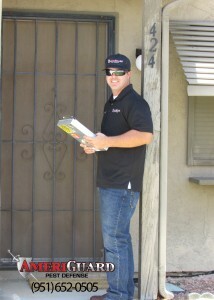 Call today if you live in Hemet, San Jacinto. Menifee, Perris, Murrieta, Temecula, Beaumont, French Valley, Winchester and other surrounding cities. Do not let gophers eat up your investment.